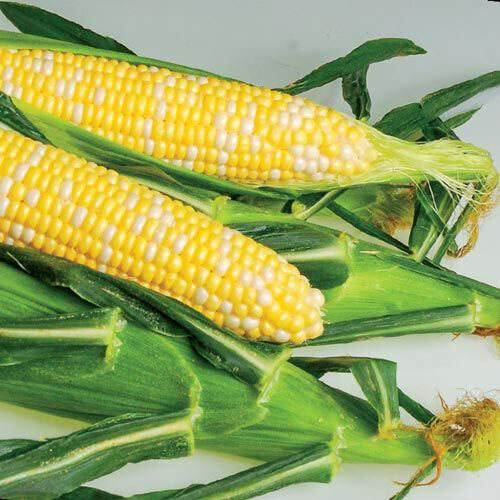 Ap 426 Hybrid Bicolor Sweet Corn | Gurney's Seed & Nursery Co.
For each offer ordered, get approx. 250 seeds per packet Pkt. The flavor and bite of this new main-season variety is exceptional. Large 8" ear has good tip fill and a dark, protective husk that reduces earworm damage. Strong plants with better emergence vigor than original sh2 varieties. 78 DAYS.Seed Counts: A packet of 250 sweet corn seeds sows a 50' row. A 1/2 lb. packet of sweet corn seeds sows a 200' row. Foliage Dark green husk with excellent tip coverage and dark green flag leaves. CommentsThe flavor and bite of this new main-season variety is exceptional. Large 8" ear has good tip fill and a dark, protective husk that reduces earworm damage. Strong plants with better emergence vigor than original sh2 varieties.